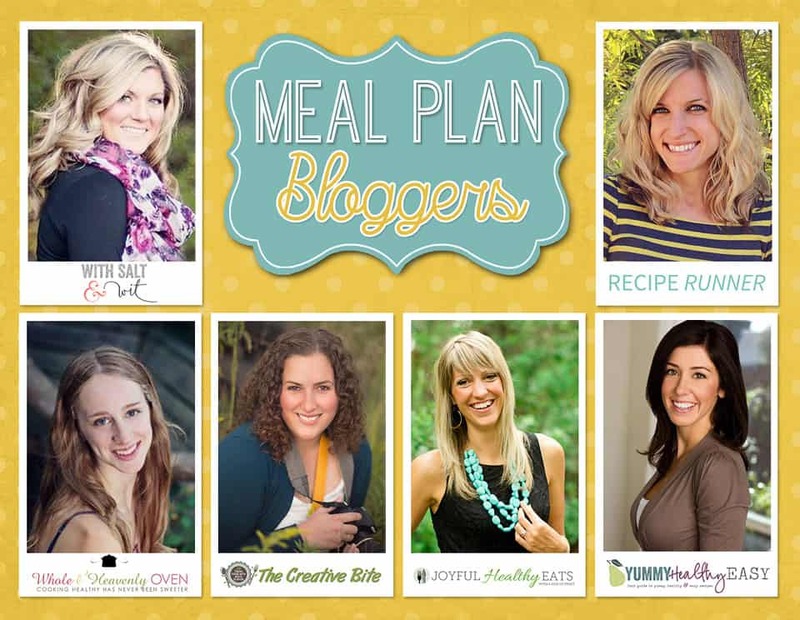 Happy happy 4th of July weekend, meal planners!! I’m a little pumped for this weekend. It’s the biggest cookout weekend of the ENTIRE summer after all! I don’t know about you, but I’m starting my grill engines and pulling out ALL the patriotic stops this weekend. 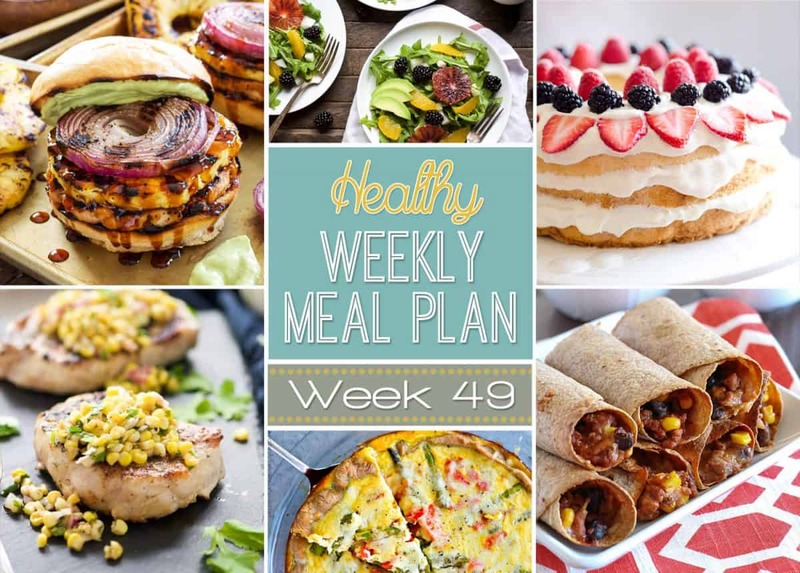 You should do the same, but first…meal plan!! Let’s get to it and then go dust off our grills!! Be sure to stop back every Saturday for your weekly fix of daily entrees as well as a breakfast, lunch, snack and dessert! Just click on the photo or link to see the recipe. This colorful Southwestern-style taco dip will be the biggest hit of your 4th of July party. It is loaded with layers of homemade guacamole and all your favorite taco toppings �for a healthy and filling snack! Fire up the grill on the 4th of July�and make these spectacular�Teriyaki Turkey Burgers with Grilled Pineapple and Onions. The grilled toppings on these burgers put them over the top! Light Berry Angel Food Cake�is an easy and patriotic�15 minute dessert with only 5 ingredients. 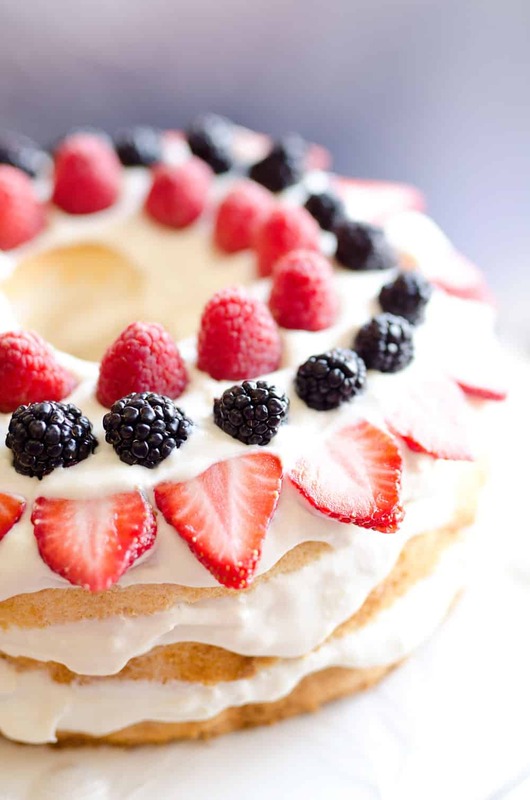 Angel food cake is layered with a luscious white chocolate and coconut Cool Whip layer and topped with fresh berries for a guilt-free low fat treat! This Skinny Baked Mexican Flautas Recipe is made lighter with a few ingredient swaps. Whole Wheat tortillas are filled with ground turkey, corn, black beans, refried beans, cheese, and spices, then baked instead of fried. Ranch Pork Chops with Grilled Jalapeno Corn Salsa is the perfect summer dinner! Fresh crisp corn is charred to perfection, mixed with jalapenos for a spicy salsa then served with juicy, grilled ranch pork chops! Compliment the spicy corn salsa with this fresh�Summer Citrus Avocado Salad. 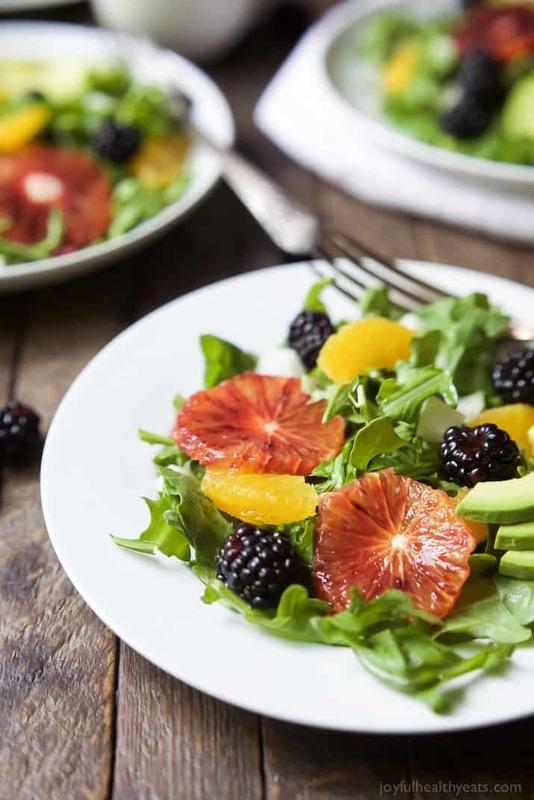 It�is filled with fresh blackberries, avocado, spicy arugula, and vibrant citrus then finished with a Citrus Vinaigrette. 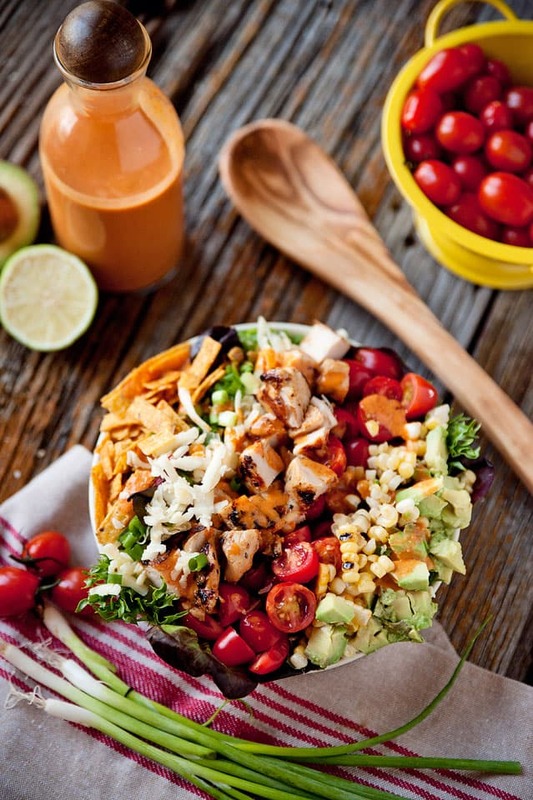 Southwest Chicken Cobb Salad with Chipotle Lime Dressing combines so many of my favorite things. Grilled chicken breasts and sweet corn, fresh veggies and cheese, dressing with fresh lime juice and chipotles in adobo sauce and of course, crispy tortilla strips. Cod fillets are coated in a coconut almond crust and pan fried to perfection in this Coconut Almond Crusted Cod with Pineapple Peach Salsa! 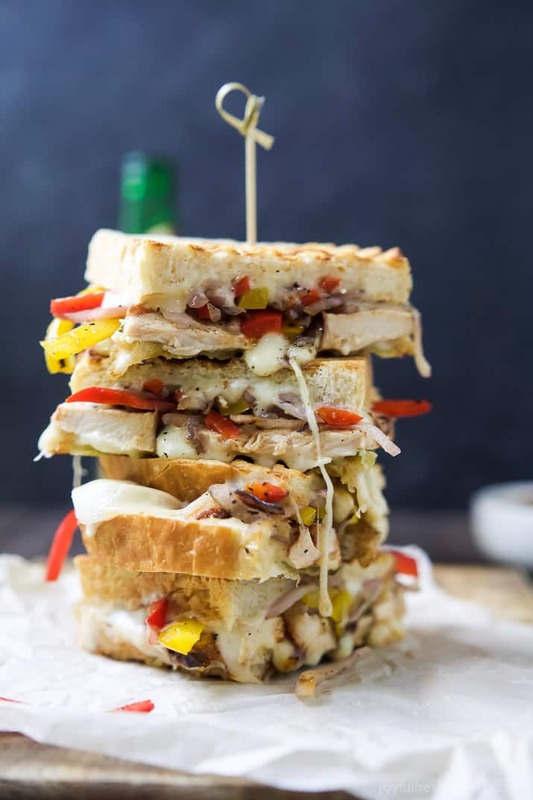 A Grilled Chicken Fajita Panini filled with juicy spice rubbed chicken, grilled peppers and onions, creamy fontina cheese, and zesty chimichurri for the perfect sandwich bite. You�ll want this sandwich for lunch AND dinner! One Pot Cheesy Taco Zucchini Noodle Skillet is a healthy spin on Taco Tuesday! Zucchini noodles, enchilada spiced ground turkey, black beans, corn and creamy avocado help makeover this dish! Perfect for a fancy brunch or just a lazy weekend breakfast, this One Pot Cheesy Taco Zucchini Noodle Skillet�is the ONLY way you�re going to want to eat your eggs! These Easy Pesto Pita Bread Pizzas use pita bread as the crusts and are spread with pesto and topped with veggies for a comforting Sunday�Friday night pizza party!